I picked up the things I need to finish my dress. 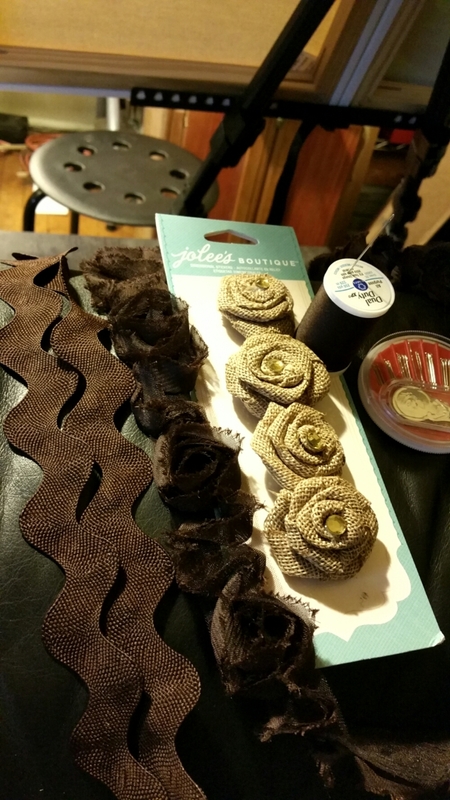 I am excited about the linen roses that I may paint and turn into pins. Sewing is not my forte. My mom taught me basics as a kid and I have taken an online class here and there. I aspire to improve my abilities in this area. My next endeavor will be learning how to make gym clothes so I will no longer have to purchase them. I am really enjoying reconstructing this dress to wear in my cousin’s wedding. I did a similar thing when I was in my best friends wedding so it feels right to do it again. I look forward to showing you the dress when it is completed.